“Are they snow clouds?” asked one of the children from the back seat on the way to Thredbo in early June. For three separate families, each with children, visions of skiing, of snow-filled hills, of snowmen and snowball fights stirred the blood of adventure. 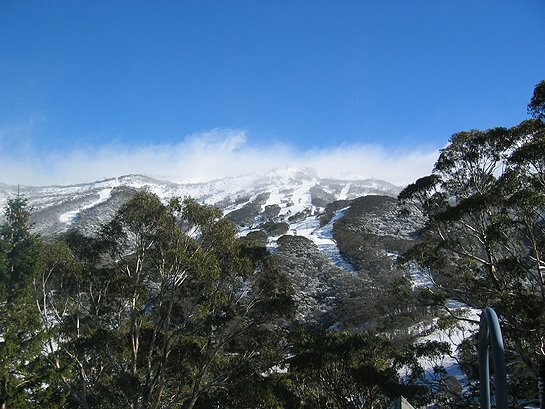 Booking accommodation, repairing or renewing ski gear, sorting and packing, making arrangements with friends and family and work all added to the anticipation of a long weekend in Thredbo – the opening weekend of the 2013 ski season. A special weekend to disappear from the sight of work and the everyday of home. A special weekend to rediscover family and friends and fun together. One family left early on the Friday to make the most of the weekend. Others left late – getting there when they could. The journey itself was a part of the adventure. All were excited. Some were quietly nervous that there would not be enough snow for skiing. For Sonya and her family, it was a getaway, a family escape to re-energise and relax. And for Michael’s family, it was “to get the kids onto skis”. All agreed this was a celebration of being away together. With crossed fingers, regular checks of online weather reports and longing looks to the sky, each family packed and prayed. One of the children even crossed the fingers of the gloves before putting them into the ski bag. Holiday packing is notorious for creating memory loss. “Even though we go on holidays a lot as a family, we still get nervous and forget things. This year it was my shampoo and conditioner. But I survived.” That was Lorraine. Michael echoed this thought and said they had to go back for a milk bottle and sun-screen for the back seat window. Sonya was convinced they had forgotten something – “We always do” – but would not know until they arrived. On the way, anticipation built with each kilometre. Cars traveled at the pace of excitement and hope – obediently (in most cases) tempered by the slower speed limits of towns along the way. “There are always nongs on the road, but we just took our time. Our focus was on safety not on beating everyone else to this opening weekend,” one said. All shared a sense of satisfaction of arrival – they were pleased the trip was done and they could now settle into a few days of whatever they wanted. Opening the door to their getaway accommodation brought deeper sighs of satisfaction. “The property was divine,” Lorraine said about her accommodation, Milkwood. Whether it is the first or the fiftieth time to the snow, the thrill and chill of skiing acts like a magnet on thoughts and feelings and actions. But for the opening long weekend and beginning of the snow season at Thredbo, it isn’t just the snow. Thredbo itself is an equal drawcard. The families agreed that Thredbo is the perfect snow-field destination. Each of the adults felt a slight sense of disappointment that they would not be testing themselves with gravity and skis and snow, but all the families had very full and fun days. Each family took the chairlift to the top of Crackenback and spent hours tobogganing and bum or belly-sliding around on snow drifts up there. Followed by a hot chocolate at Eagle’s Nest. Of course! A snow weekend is fun and active and typically on the go the whole time. Up early, breakfast, gear, tickets, skiing, unpacking, eating sleeping….all moving quickly. A snow weekend without snow is leisurely. A late finish at night and a late start in the morning. A slow breakfast and stroll. Time to relax and explore and discover. And there were the fireworks. They wandered along the side of full and fast creeks, they talked, they stopped for photos of mountains and snow on the gum trees, and they enjoyed the space that’s often stolen from busy work-day family lives. “This is a true village. Everything is convenient,” said Michael. “Our accommodation was beautiful, stunning. The Woodridge area is wonderful. I would absolutely recommend the accommodation and the booking,” Lorraine said. 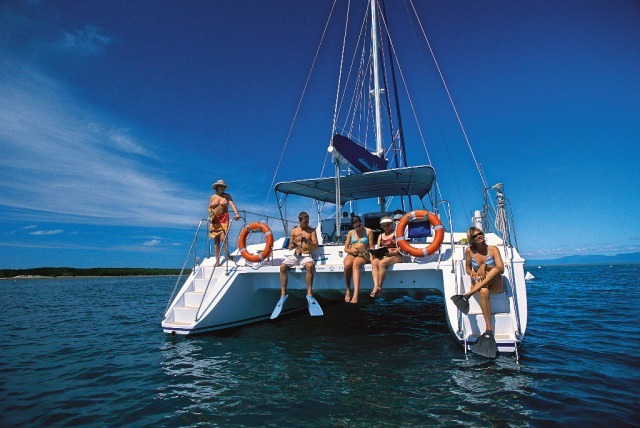 “It was great to escape the flotsam and jetsam of life, and we are coming back” Michael said. “We plan to make this an annual event – a family tradition on the long weekend. Even with low snow cover, Thredbo is full of things to do. “Are they snow clouds?” asked one of the children looking out the back window as they drove away from the village.